Following the latest release of the ARK Deployer comes yet another update for the ARK Desktop Wallet! This update specifically addresses those using the ARK Deployer and targets some of the problems encountered with the previous wallet version. Of course we also slipped in some performance boosts for better loading times as well, but on to the most important fix in this version. 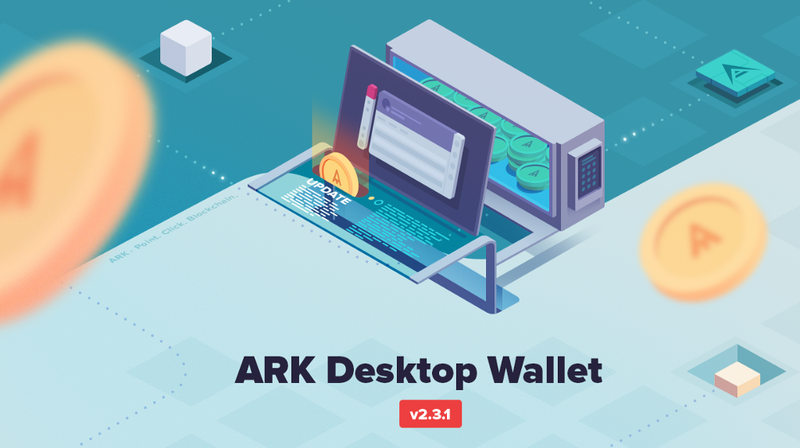 Although we released v2.3 Desktop wallet just last week, there were several reported problems that needed to be addressed when using it along with the ARK Deployer. When new custom deployed chains were added they were not interacting properly with the Desktop Wallet. These problems have been fixed and all custom bridgechains launched using Deployer should now be able to interact with the ARK Desktop Wallet without any issues. Caching rendered pages that are not tied to the current session profile — now caching the pages that have been visited and are not tied to the current profile and don’t change when switching profiles (announcements, networks, profiles). Saving regular and Ledger wallets at once instead of dispatching multiple Vuex actions — re-coded the wallet action of the synchronizer service to save the fetched data of each wallet in 1 Vuex commit on the wallet store and 1 commit on the ledger store. This has reduced the processing time from ~3000–6500ms to 500–2500ms, in return making the UI less laggy.